Hey everyone! Been awhile, we decided to adopt now that we are all settled in here in the springs. The dane we are looking at is good with small children and animals as well as other dogs, he is four years old and looks super sweet. I am wondering if anyone has adopted any older danes and if it's basically the same as adopting a 2 year old one? Four isn't really that old but definitely past the puppy stage. my adopted danes have ranged in age from 2.5 years all the way up to 8 years. i found no difference whatsoever except the older ones slept a bit more. Older danes are great! You can see their adult personality and they are usually all done with that puppy/teenage craziness. There will be a honeymoon period of a couple weeks where you may think "this dog is perfect!" and then once they get comfy, you might see some bad habits. My friend adopted a five year old and she was amazing. After a month or two, though, she started counter surfing when left alone with the other dogs and my friend had to be much more diligent with putting food away. 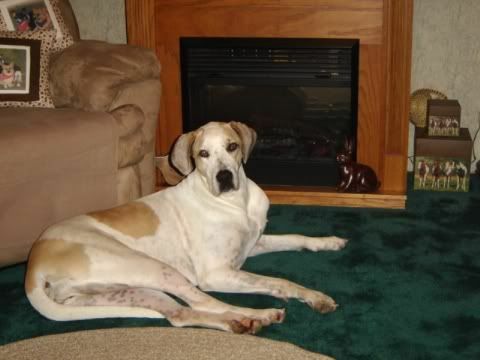 I got my first Dane when I adopted a 3 year old retired show dog that didn't do well in the ring. Best experience ever. He was calm, sweet, and the most unbelievable dog...so obedient and never did anything wrong. No kidding, not once did he ever question my rules. I lost him to bloat at 6 1/2. Fast forward to my current Dane, who is 14 months. It feels like he'll never outgrow his teen stage. I wanted an older dog when this pup became available, so I brought the pup home. Personally, I wouldn't hesitate on an older dog (provided that they don't have behavioral problems). I adopted a 13 year old dane. We had her 3 months before she passed. She acted the same as my 3 year old.... lazy! They both were great at holding down the couch.